(CBS News) LONDON - Moderate Libyan activists have organized a protest Friday in Benghazi, Libya, to demand that the well-armed Islamic militias which virtually run security in much of the country lay down their arms. Friday is the Muslim holy day, and one of the most powerful militias in Benghazi has called their own protest to coincide with the so-called "Save Benghazi" rally. Ansar al-Sharia - one of the groups U.S. officials say was likely involved in the attack on the consulate which left U.S. Ambassador Christopher Stevens dead - announced its own protest, "in defense of our prophet on Friday 21." The prospect of both Ansar al-Sharia, with its conservative Muslim supporters and its well-stocked arsenal of weaponry, rallying on the same streets on the same day as groups calling for them to be disarmed and replaced by state security forces, presents an obvious risk of tension, and possible clashes. Ansar al-Sharia is one of two or three militias which rose to power during Libya's Arab Spring-inspired civil war and which, after long-time dictator Muammar Qaddafi was killed, became a de facto security force in its local area. Mabrook Bakeer, a local activist involved in the Save Benghazi rally, made an appeal to the extremist Islamic militias in an online message: "If you truly love Benghazi, hand in your weapons." One of the protest's organizers said the protest "is not a move against Ansar al-Sharia. We are against all armed factions, and want police and armed forces to be restored." That is a tall order. The Libyan central government has little power in Benghazi, or many other areas, particularly in the east. 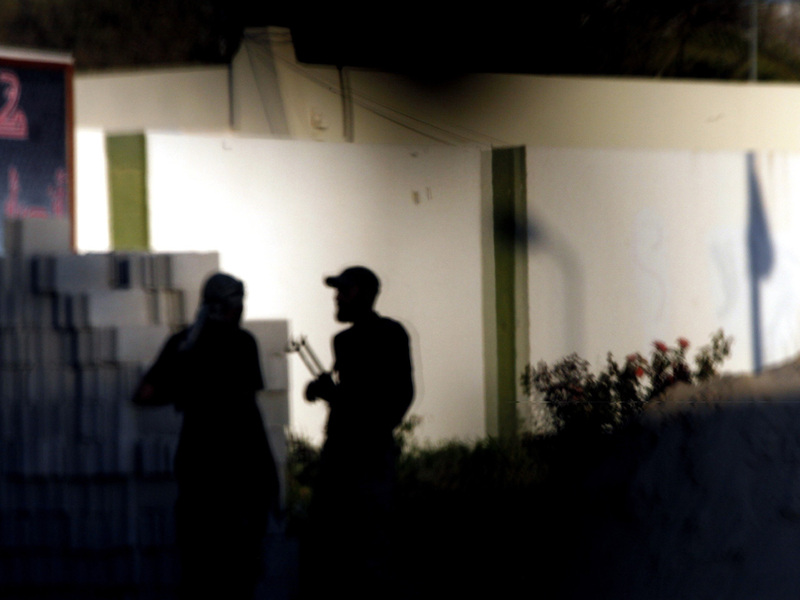 Ansar al-Sharia and other groups like it have become the state security forces in Benghazi. They have little regard for the government in Tripoli, almost no fear of it, and if the central government were to try and disarm the militants by force, they would face a tough fight - likely a losing one. But the protest against the militias on Friday (similar rallies have been organized for Darna and al-Zawiya, two other cities in the northeast) show there is a new power struggle in post-Arab Spring Libya; between well-armed conservative Muslims who would like to see the country ruled by strict Islamic law, and moderates who would prefer a strong, democratic, central government. The fears of the moderate activists are summed up in a message posted by another organizer of the Save Benghazi rally: "We don't have al Qaeda here! Continue to deny it till they blow up all of Libya, and turn it into another Afghanistan."